Page Updated:- Sunday, 10 February, 2019. Above photo, date unknown, with permission from Eric Hartland. Above sign left, date unknown, sign right, 2013. The passage below from the South Eastern Gazette indicate to me that the original building was obviously replaced some time around 1842. From the Kentish Gazette, Friday 26 June, 1779. 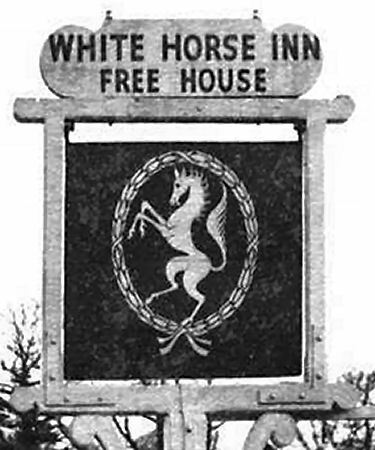 And entered upon at Michaelmas next, that old and well-known Inn called the "White Horse" at Sandway, in the parish of Lenham, half-way-house between Maidstone and Ashford, with about ten acres of land adjoining the same, two acres of which is hops, the rest good meadows, a large and commodious garden well planted; a good stable, barn and malt house, with a Lead Cistern, which will wet seven Quarters of Barley, with a Malt-mill, and every thing in the most convenient manner, and room to make three hundred Quarters of Malt in this season. The household furniture and fixtures, stock of liquor, husbandry tacking, hop-poles, and other articles, to be taken at a fair appraisement. 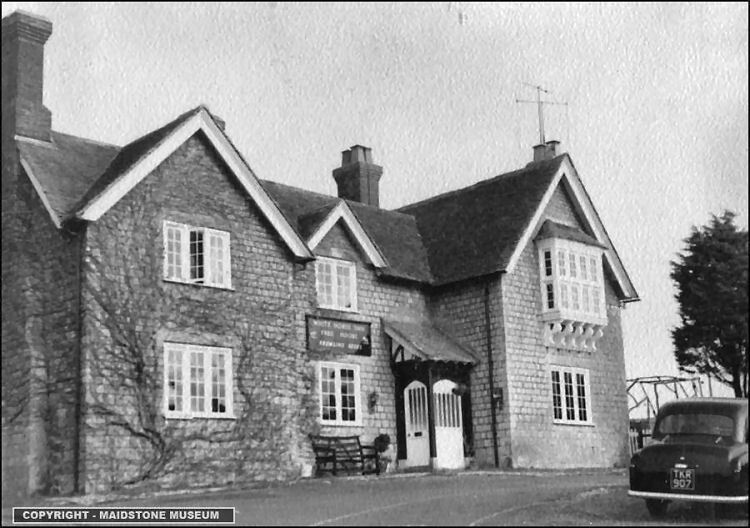 Further particulars may be had by applying to Mr. John Tabraham, at the "White Horse" aforesaid. South Eastern Gazette 03 May 1842. 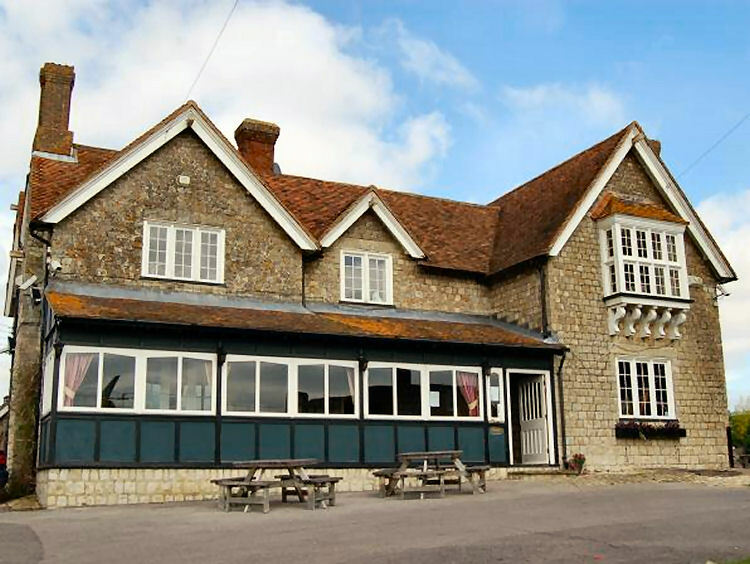 Persons willing to contract for taking down and rebuilding the "White Horse Inn," at Sandway, near Lenham, are requested to deliver Tenders for the same at the office of Messrs. Whichcord and Walker, Maidstone, on or before Thursday, the 6th May next, sealed up and addressed "Tenders for Sandway Inn." Plans and a specification of the work proposed to be done may be seen every day, between the hours of Nine and Six, at the above named office, Maidstone. From the https://www.kentonline.co.uk By Ed McConnell, 14 July 2016. 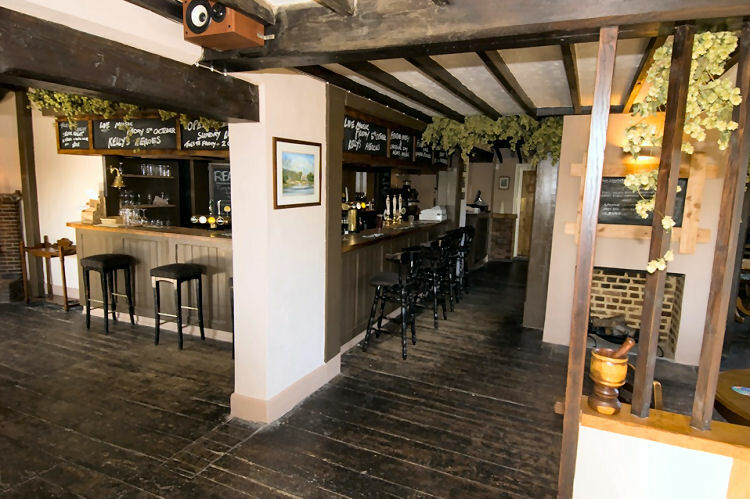 Two charged over tile theft at White Horse Inn, Sandway, Lenham Heath Road. Two men have been charged over the theft of tiles from the roof of a pub. Joe Eric Lee and Lee Matthew Davenport will both appear at Maidstone Magistrates' Court next month following the incident near Lenham in May. 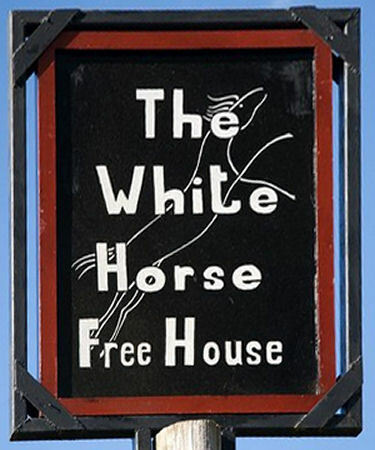 Police were called to the disused White Horse Inn, in Lenham Heath Road, Sandway, on the evening of Thursday, May 19, and arrested the pair. Lee, 22, of Ivans Field, Chart Sutton, has been charged with criminal damage and theft and will appear on Tuesday, August 2. Davenport, 23, of St Michael’s Road, Maidstone, has been charged with criminal damage, theft and possessing cannabis and will appear on Friday, August 19. According to their Facebook page the pub was still open in March 2016, but closed by July 2016, local knowledge required please.